This Flying Scot is in like new condition and ready to hit the racecourse or go for a day sail. This Radical Race Flying Scot has been dried sailed and well maintained by the owner. FS 5845 has a white deck, hull and waterline and fiberglass centerboard cap. The upper cove stripping is dark green. 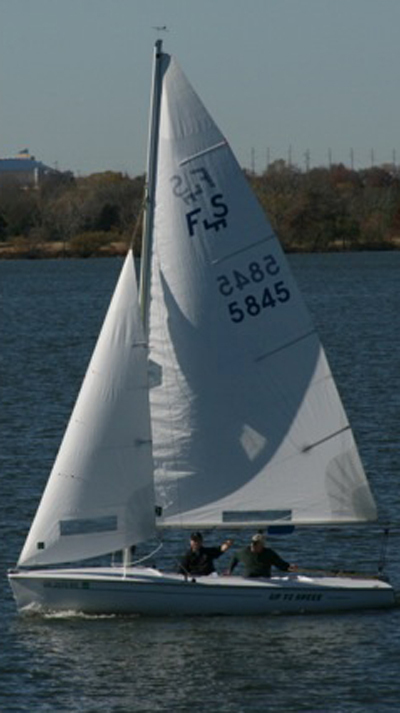 FS 5845 is located at Corinthian Sailing Club in Dallas, Texas.